A damning report on the summer timetable shambles has laid bare the dysfunctional chaos of Britain’s railways. Decision-making was ‘not fit for purpose’ and there was a ‘collective, system-wide failure’, said MPs. There was an ‘extraordinary complacency’ among government officials, rail bosses and regulators about ‘protecting the interests of passengers’, they added. 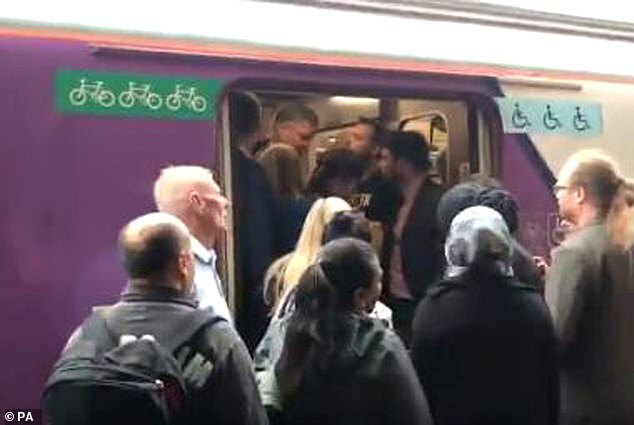 Transport committee chairman Lilian Greenwood said the news last week of an average 3.1 per cent rise in fares added ‘insult to passengers’ injury’. 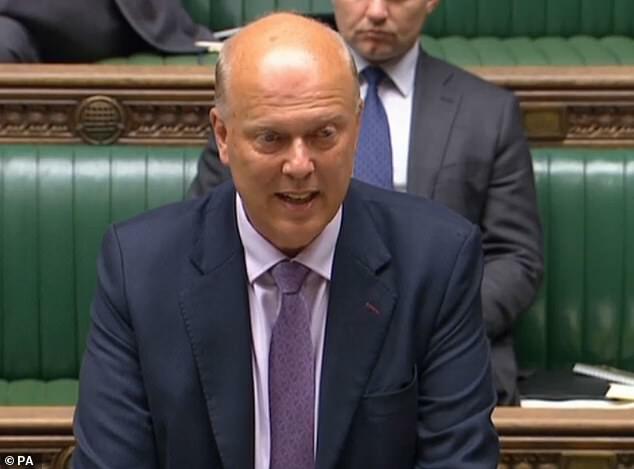 Chris Grayling was also in the firing line over the delays and cancellations to thousands of services nationwide as the industry buckled under the biggest change to schedules introduced in May. The MPs said the Transport Secretary was ultimately responsible for the railways and should stop ducking the blame. Mr Grayling had blamed rail bosses, particularly at infrastructure firm Network Rail, for claiming they were ready for the changes. The committee concluded the Transport Secretary ‘is responsible for the structure of the system. Some of the problems arose from the structure of the railways. It is therefore not reasonable for the Secretary of State to absolve himself of all responsibility’. The cross-party committee also blamed the ‘fragmented’ nature of the industry for the disruption. In Britain’s ‘astonishing’ complex system, private companies compete on rail infrastructure which is owned and run by the state, it said. The MPs highlighted ‘inadequate’ governance and decision-making overseen by Mr Grayling and his department. ‘Lines of accountability failed, were not sufficiently clear or simply did not exist,’ they said. Mrs Greenwood added: ‘It is extraordinary and totally unacceptable no-one took charge of the situation and acted to avert the May timetabling crisis. ‘Around one in five passengers experienced intensely inconvenient and costly disruption to their daily lives. 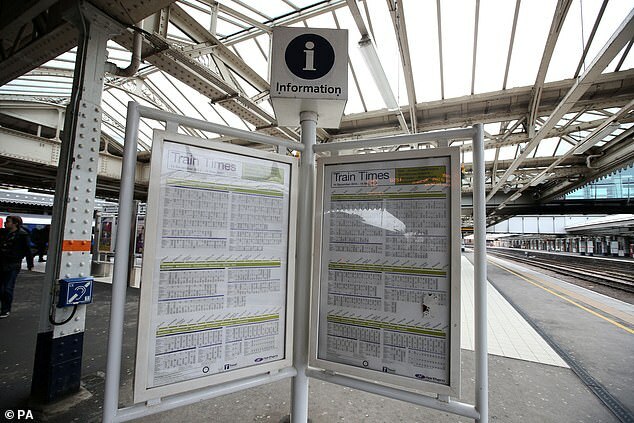 The 46,300 timetable changes affecting almost half of services were meant to lead to more trains and reliable travel. But the overhaul unravelled as operators did not have enough time to make sure trains were in the right place and to train up drivers for new routes. 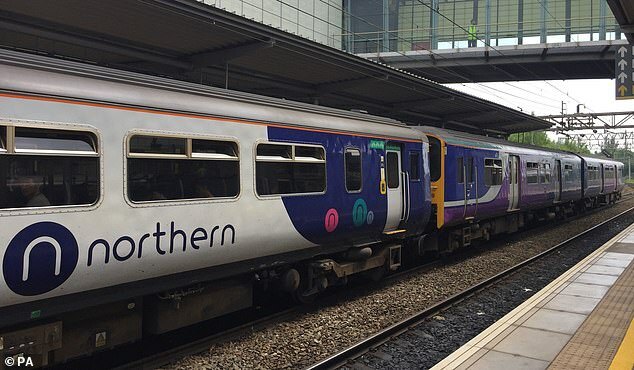 Over-running engineering work by Network Rail was the key reason the timetable was implemented late in the North of England, said the report. But delays in crucial decisions on how to phase in changes on Thameslink by Network Rail and Mr Grayling were to blame in the South, it added. The committee said statistics ‘cannot do justice to the severe effect on people’s lives’ as they had to pay for taxis and extra childcare. Passengers also suffered anxiety about getting to and from work while pupils were late for school. ‘He also blamed the complex system for making it ‘so easy for senior figures to pass the buck’. A Department for Transport spokesman said an industry review will ‘put passengers first, with reforms from 2020’. Robert Nisbet, for the Rail Delivery Group, said a team has been set up to ensure timetable changes are smooth, including those due next weekend.